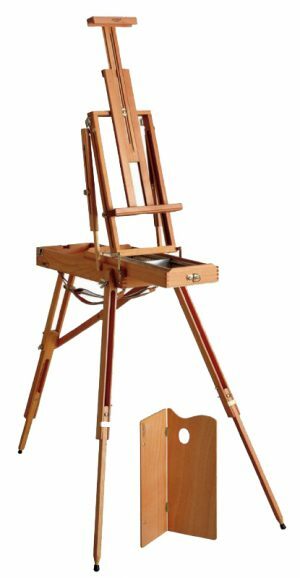 Italian made version of the French box easel. 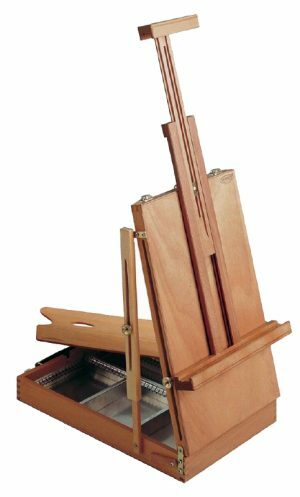 Canvas holder can be adjusted to any angle between horizontal and vertical. Tin lined drawer with adjustable compartments.